Nestable corrugated culvert pipe offers a fast and economical solution to contractors and owners who require a strong casing to place around an already installed utility line. This can be done easily without disrupting the line to be encased. Also can be used in the petroleum, chemical protection shell pipe, and infrastructure construction. There are two standard methods used in attaching the half-round pipe segments together bolting and flanges. Nesting, a shipping technique developed in the 1930's, was devised to eliminate problems for overseas shipment. It provides an economical solution to conserve shipping space. Transport The“nested” arrangement provides for maximum freight economy. Assembly The quick and easy assembly of Bolted Nestable Metal Culvert Pipe saves both time and installation costs. 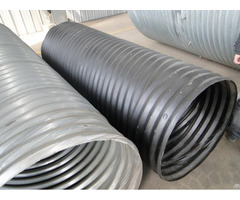 Economy Low material and installation costs ensure Nestable corrugated metal pipes are extremely price competitive. Service Experienced YiTong engineers are availabe to provide asistance as and when required. The technical data included in this brochure is applicable to flanged type pipe and bolting type pipe both. Revelant data on the other types are available on request. 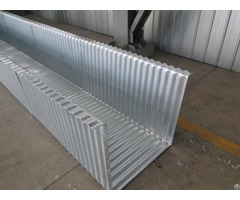 Corrugated metal culvert is made from galvanized steel sheets with corrugations 68mm width by 13mm depth and corrugations 75mm width by 25mm depth. 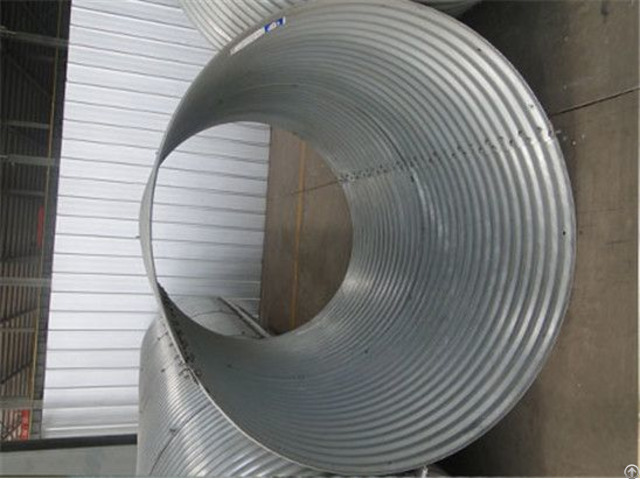 The 68X13mm in 20 corrugations with an effective laying length 1360mm. The sheets in thickness from 1.6~4.2mm. The 75X25mm corrugations, if the sheet thickness is smaller than 3mm, it is in 16 corrugations with an effective laying length 1200mm, if the sheet thickness is bigger than 3mm, it is in 17 corrugations with an effective laying length 1275mm. Field assembley is accomplished by bolting the sections together at the flange with M12X40 galvanized nuts and bolts. Posted By: Hengshui Yitong Pipe Industry Co.,Ltd. 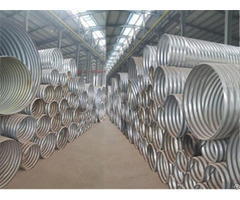 Business Description: we're specialized in manufacturing Corrugated metal pipe culvert, corrugated steel pipe, steel culvert, corrugated metal culvert, arch corrugated steel pipe and highway corrugated steel pipe culverts made in China have wide range of applications.